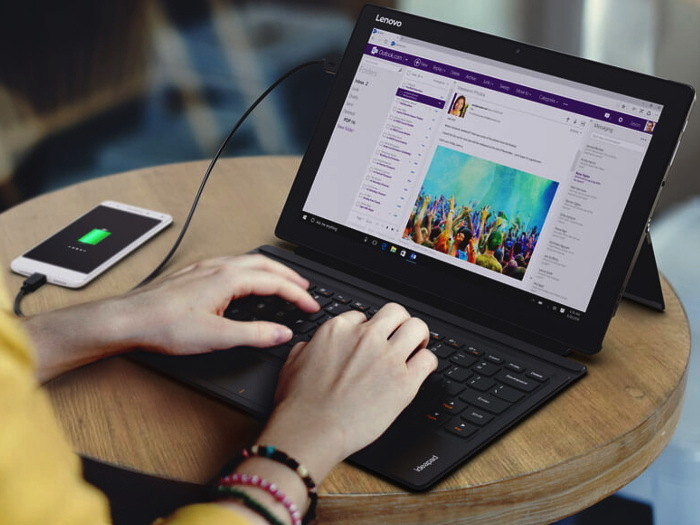 Lenovo is major player in the 2-in-1 category of products alongside the behemoth Microsoft. The company has a range of products – from the Yoga Book and the recently released Miix 510. The Miix 510 went on sale just last month and now according to the reports by WinFuture, the company is already getting ready to release a successor to the device, the Miix 520. The Miix 520 won’t be visually different from the Miix 510, however, the device will come with a number of new things under the hood. The Miix 520 as suggested by WinFuture, will come with 16GB of RAM which is literally double compared to the Miix 510 which came with 8GB of RAM. Also, the device will be sporting Intel’s new Kaby Lake chips in place of the last year’s Skylake chips found on the Miix 510. The Miix 520 will apparently run for 10 hours straight on a single charge. Keeping the spec bumps aside, WinFuture also reported that, the upcoming Miix 520 will also be sporting a fingerprint sensor. The most recent laptop to add fingerprint sensor is Apple’s MacBook Pro with TouchBar. Fingerprints sensors are actually not new on the laptops. Way back in years between 2007-10, dell latitude laptops used to come with fingerprint sensors, showcasing an extra layer of security for their business users. But for some reasons, fingerprint sensors were slowly killed. From my experience, I would say it was probably due to the poor user experience. The sensors were slow and required a strict calibration. However, getting back to the Lenovo’s Miix 520, the inclusion of Kaby Lake chips is of course a great addition and will surely pull customers. But actually, Kaby Lake doesn’t offer any heavy groundbreaking performance improvements compared to the Sky Lake. Kaby Lake is just an incremental over Sky Lake with minor performance bumps in web browsing and app performance. If you really are looking for something incremental, then you should probably just wait for next round of Intel’s chips which are supposed offer great speeds and power efficiencies.